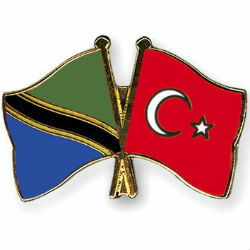 Turkish business investments in Tanzania are expected to continue to grow following the latest meetings in 2014 between Tanzanian Foreign Affairs and International Cooperation Minister, Bernard Membe, and Turkish businessmen from Turkey’s Foreign Economic Relations Board. According to the Republic of Turkey Ministry of Foreign Affairs, the bilateral trade volume between Turkey and Tanzania reached USD 184 million in 2013 (up from USD 156 million in 2012 and up more than 755% from 2004). This increasing volume is the result of a focused effort between Turkey and Tanzania to develop and strengthen commercial and economic relations. Aydin Logistic, for example, a subsidiary of Istanbul based port operator and cargo handling equipment company, Ozuaydin Crane and Port Management Incorporation, first started operations in Tanzania in 2012. Since then, the company has invested over USD 3 million and employs more than 30 people and intends to invest USD 15 million within the next six years. Turkish Airlines, similarly, announced in March 2013 that it would begin servicing flights between Instanbul and Dar es Salaam.